The April 2009 issue is ready! 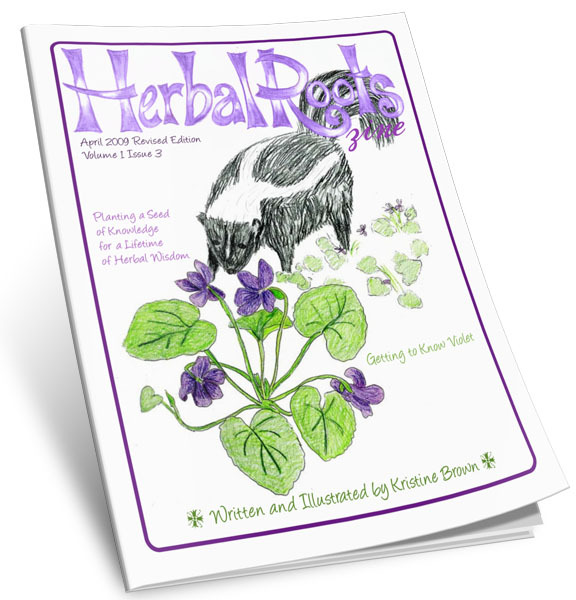 This month we’ll be learning all about Sweet Vi, the shy little herb that likes to spread her purple joy all over the lawn around April of every year. Learn how Violet got her showy purple flowers, learn to make a herbal paste and syrup, all the great uses of Violet, where to find her and what to use her for!